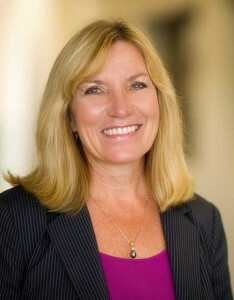 Rauni Prittinen King, RN, MIH, BSN, CHTP/I, HNB-BC, is the co-founder and executive director of Guarneri Integrative Health, Inc. at Pacific Pearl La Jolla, California, U.S.A. An accomplished business woman, healthcare provider and instructor, she is the founder and president of Holistic and Integrative Medicine Resources Inc. and the president of Miraglo Foundation, a non-profit charitable organization that she founded. Rauni has over 20 years of experience in critical care nursing. A board member of the Academy of Integrative Health and Medicine (AIHM), and served for four years on the Healing Beyond Borders Board of Directors. Rauni is founder and former director of Programs and Planning at the Scripps Center for Integrative Medicine in La Jolla, California and served as the nurse case manager for the Scripps Dean Ornish Program for Reversing Heart Disease. She is a director and coordinator of national and international holistic and integrative medicine conferences for physicians, nurses and other healthcare providers. Certified in holistic nursing, hypnotherapy and interior design, Rauni also is a Certified Healing Touch® Practitioner and Instructor. She has been coordinating Healing Touch® workshops at Scripps Hospitals since 1993 and is the lead instructor for the Greater Los Angeles VA Healthcare System. Creating Healing Touch® of Finland in 1998, she has been teaching Healing Touch in Europe, India and throughout North America since then. For her work, she received the Trailblazer Award from the Scripps Health Foundation. She has been honored for her work in Southern India by Project Concern International. Rauni has published in peer reviewed journals. After receiving a BSN from Arizona State University, she earned a Master’s in Integrative Health from National University. Rauni is a member of the American Holistic Nurses Association Healing Beyond Borders and Academy of Integrative Health & Medicine.